Every year in March, at the Washington State Convention Center, there is the SakuraCon convention! Downtown Seattle is flooded with people in fun costumes. 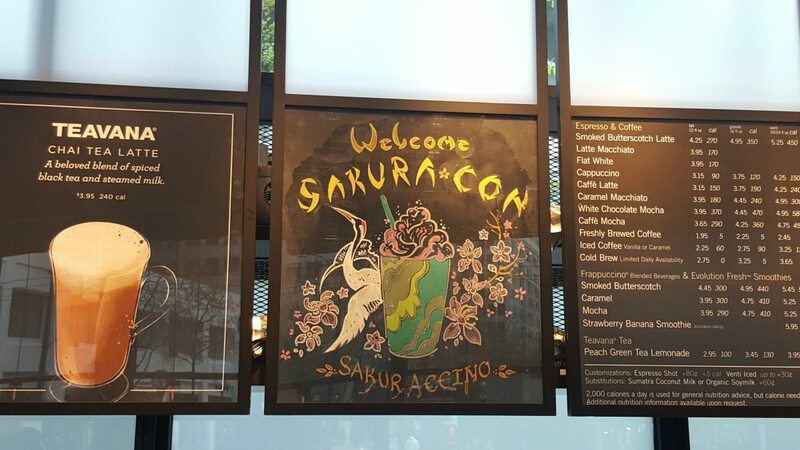 The nearby Starbucks locations in the Seattle retail core, always come up with a fun Frappuccino to celebrate the excitement of SakuraCon. 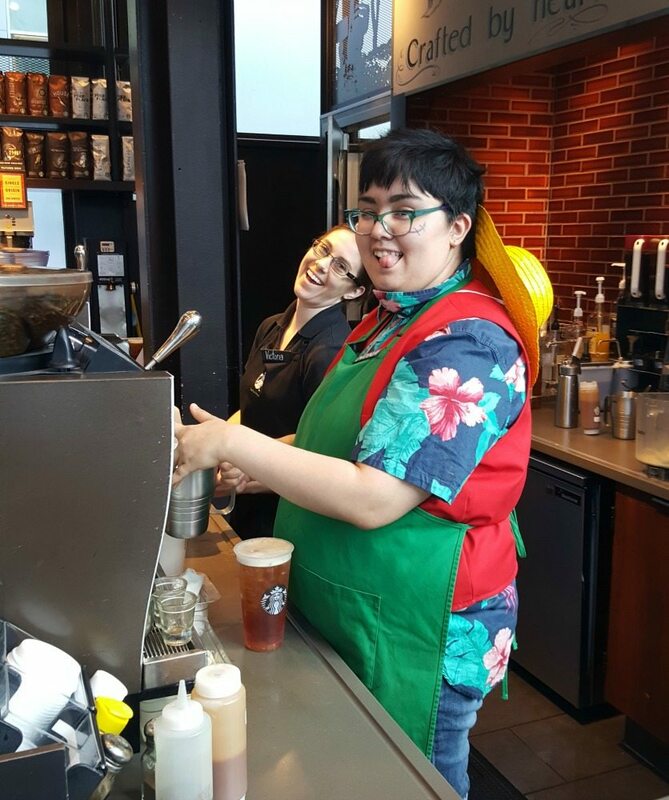 Nona made my beverage above, and the store manager was working too. 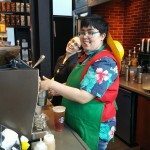 I asked them to be on StarbucksMelody.com – Nona was wearing colorful clothes because of SakuraCon. They said sure but Nona said, “Hey I might stick my tongue out at you!”. I took one single quick picture. (There wasn’t time for more than one photo as they were busy). This too fun not to share! Thank you Westlake Starbucks for all your awesomeness! 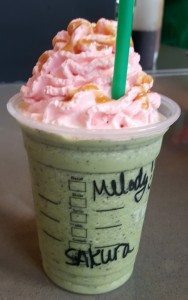 Keep in mind, you won’t find this fun Frappuccino everywhere. 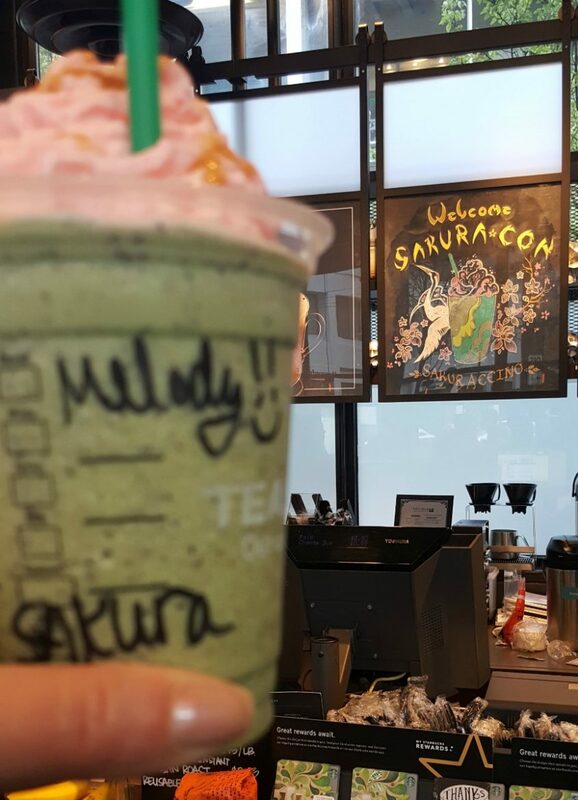 The Sakura Con Frappuccino is just in downtown Seattle. 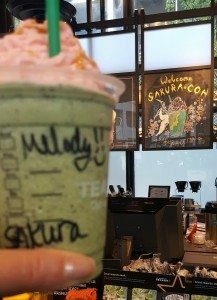 I enjoyed the chalkboard art and Frappuccino so I thought I’d share it with you here. 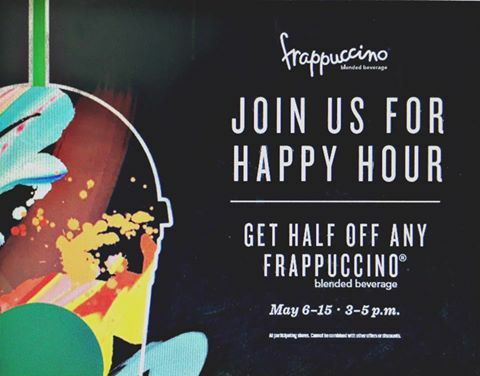 Mark your calendars now for Frappuccino Happy Hour. I know it’s more than one month away but it’s worth marking on your calendars! 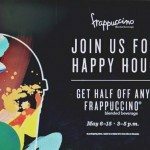 Half-off Frappuccinos May 6 – 15th, from 3:00 PM to 5:00 PM. The Waffle Cone Frappuccino is All New: Get this now.